Us, Mora Hiking Club members always select the most astonishing places in the country to explore yet which has a considerable difficulty to reach. Out of all the hikes that we organized so far, this is something which gave us unforgettable memories. 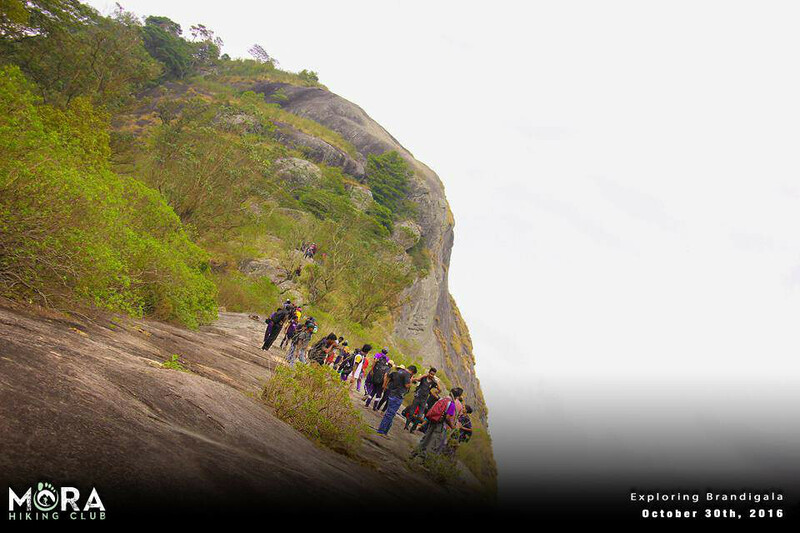 Bambarakanda reaches the top waterfalls list of Sri Lanka as common to everyone’s knowledge. It is not only due to the beauty, but also due to the height of the waterfall which makes it the tallest waterfall of Sri Lanka. The location of the waterfall is closer is closer to Rathnapura and NuwaraEliya district margins closer to Kalupahana area. Bambarakanda is a remarkable waterfall which is being admired b both local and foreign tourists. It is also known as Bambarakale waterfall and has a height of 863’ (263m) with the 299th position out of global waterfalls. The initiating point of the waterfall is Kuda Oya and later, it meets Walawe river along with the Belihul Oya. Stridian literally means the first step of a long journey. In fact, this step that was organized by our club is our first step of a long journey and no doubt that it is also a giant step. The foundation to this event was laid at the PERA CHAMPS Hiking Competition organized by the Explorers Club of the University of Peradeniya, a few months ago. The participants from our university at this event felt the urge of sharing their unforgettable experience with the members of Mora Hiking Club. In two days of cold December, 11th and 12th presented the opportunity to make it a reality. Stridian can be named as a highly successful event organized by a small group within a very short period of time. Large amount of work had to do before the competition. Organizers got ready in a rush but with the good plan in hand. The obstacles were many, but one by one were overcome with the organizers going ahead. University Explorers Club of Peradeniya offered a unlimitted support in this. The word Chariot Path means a lane in which an airplane is taken off. The chronicles mention that this path was initially built to use for the “Dandu Monaraya” of King Rawana; as per the things we got to know from some friends who went in the path earlier. This has led to the name given as Chariot path which is situated closer to Piduruthulagala mountain range in Pussellawa. The ancient information reveals that this is a routine in which King Rawana took his Queen Seetha from the Seetha Kotuwa in Gurulupotha – Hasalaka to Hakgala Botanical Gardens area. The journey had been a romantic tour for which he took the Queen to show the elegance and grace of his kingdom. Due to these tours, even to date this path is an unfertile land which consists of heavy grass. For a person who comes from Colombo, the easiest path will be to reach Pussellawa in a Colombo – Nuwaraeliya bus. We started our journey from Colombo around 5 in the morning and came to Pussellawa at around 10.30 in the morning. We bought all the needed food and other requirements from Pussellawa as this is the final town to be found in the route.